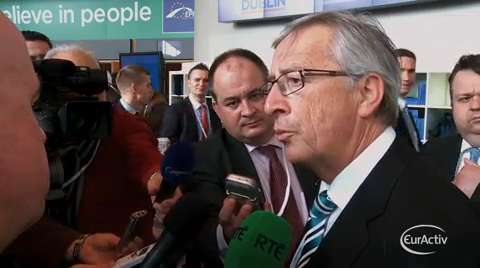 As the EPP’s electoral congress in Dublin gains pace, Jean-Claude Juncker is the favourite to become the party’s candidate for the EU Commission presidency. 'I want this job because I was becoming increasingly angry that the European Union appears to be divided in two parts, the so-called virtuous countries and the weaker countries. We had enough walls in Europe. I'm against this division between big and small member states.' Juncker said.